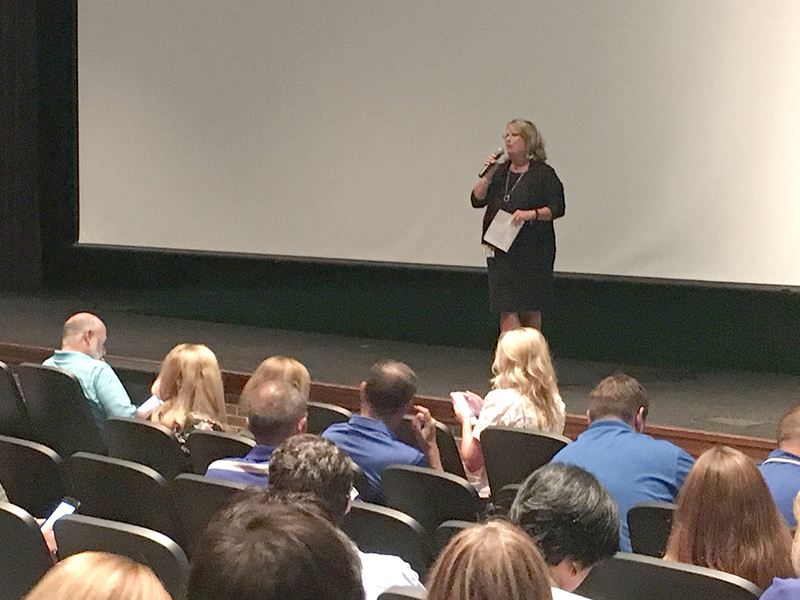 More than 600 teachers from Carmel and across the nation gathered July 11 at Clay Middle School for an annual conference on using technology in the classroom. “The conference is an exciting and invigorating event that gave teachers time to collaborate with colleagues, grow their (professional learning network) and be inspired to bring new ideas into their classrooms,” said Anne Arroyo, Carmel Clay Schools director of curriculum, instruction and assessment and event coordinator. This year’s event featured 89 presenters and more than 100 sessions for attendees to choose from, including a new Innovation Zone, where teachers participated in educational technology-themed activities. John Love, a media specialist at Carmel High School, attended for the first time was a presenter. Another teacher who is eager to implement technology in the classroom is CHS Chinese language teacher Tungfen Lee.